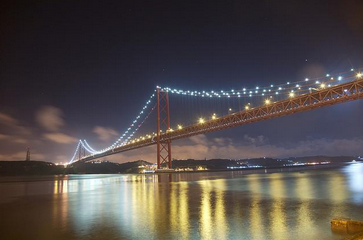 Why Lisbon is one of my favorite European cities. There are a few places in the world that have a certain charm, one that tends to make you want to go back there even if it’s just for a short weekend trip. 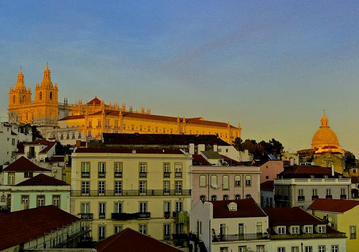 Lisbon is one such place. Whether you’re an arts aficionado, a tech geek, party animal or a history buff (and I happen to be all four), Lisbon has a wealth of offerings in all four departments and so much more, which is probably why it always has me going back from time to time. One of the greatest things about this city is that wherever you go there is something cool to be seen right round the corner, whether it is a skillfully crafted graffiti, a great looking building or a museum of sorts or even some quirky monument in an unexpected spot. Lisboetas (as the locals call themselves) are also some of the most down to earth folk in the whole universe, with a great sense of humor and a knack for sarcasm (the good type), so hanging out with the locals is always one of the most delightful and entertaining ways to spend an afternoon in this bustling city. My all time favorite area in Lisbon must be the Bairro Alto, one of the most characterful, colorful and appealing neighborhoods in this part of the world. Considered by many artists and creative locals as their preferred hang out spot, the ‘Bairro Alto’ boasts some of the best bars, tearooms, restaurants and bookshop cafés, all designed in their own unique, eclectic and funky ways and serving some of the best traditional culinary treats in the city. Speaking of which, the cuisine in Lisbon is another major reason why I get so excited about this wonderful city. Lisbon is famous for the salt cod and tasty custard tarts but there are so many more culinary indulgences to partake in that you’d wished you’d never left. If you think you’ve tried Piri-Piri chicken before then wait till you try it in some of the specialty restaurants here, and my all time favorite with a glass of red wine, the Chouriço assado, a spit roasted spicy sausage flamed in Brandy, Yum! Everybody likes to party a little, and well if you’re up for a couple of drinks and socializing with a few locals and tourists alike, then the nightlife in Lisbon will prove most enjoyable as it’s quite a vibrant one, with different clubs and bars playing all sorts of music from live-jazz to electronica, and yes the partying here go on and on and on, till the wee hours of the morning where it is a bit of a tradition that locals gather somewhere to watch the sun go up on Sunday morning. The accommodation in Lisbon is fabulous too; The lavish hotels housed within some majestic historical buildings such as the Corinthia hotel Lisbon offer the visitor a luxurious and relaxing atmosphere and stellar service.